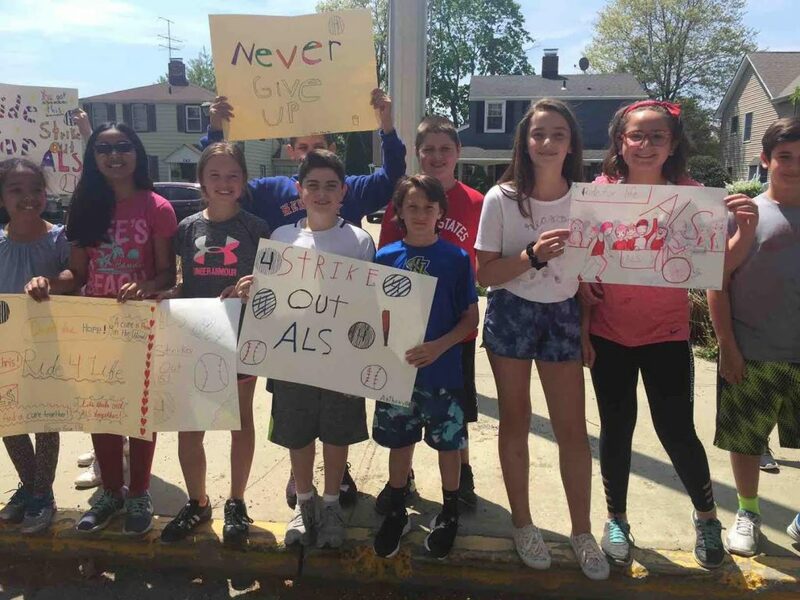 In a heartwarming display of its commitment to altruism and support for the fight against amyotrphic lateral sclerosis, Rushmore Avenue School in the Carle Place School District welcomed Chris Pendergast and the Ride for Life group with colorful signs and banners. 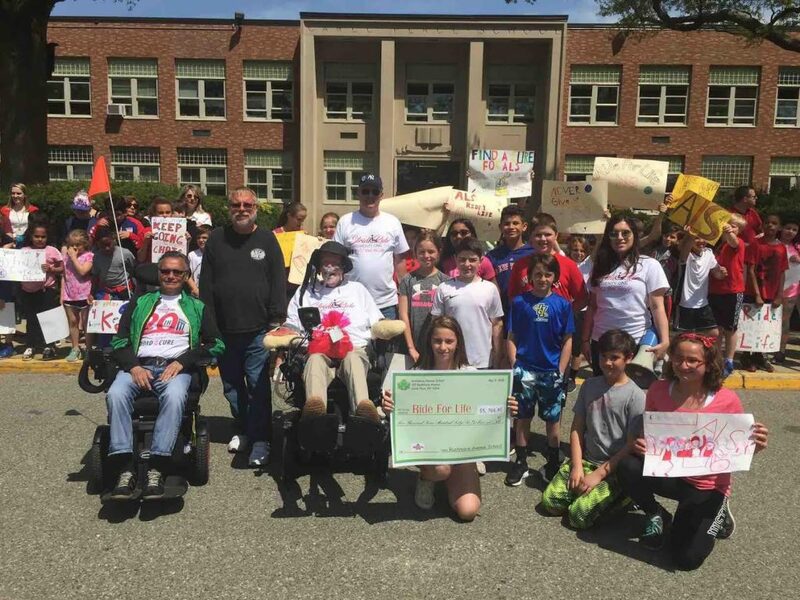 The student council, under the direction of advisers Julie Santoro and Elizabeth Cottell, presented the group with a check for $5,766.95, which was raised through raffles and the annual Faculty Feud event. 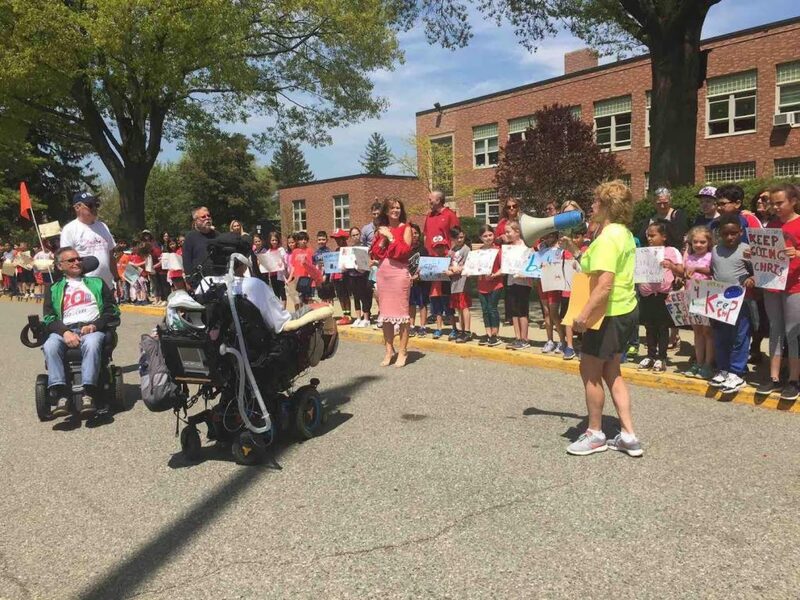 Photo caption: 1-3: The Ride for Life group visited Rushmore Avenue School.